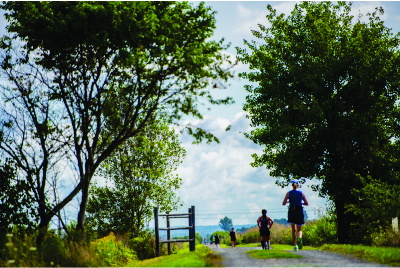 See Cobequid Trail: Explore Our Wonder for more details. 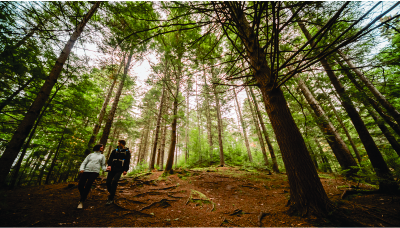 The forests and picturesque surroundings of Victoria Park are a natural draw for cross-country skiers, snowshoers and hikers during winter months. 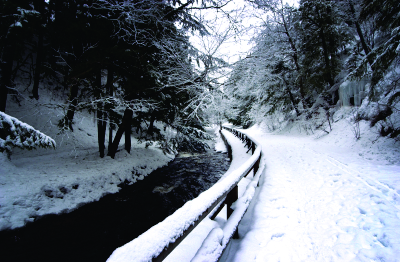 Truro Parks, Recreation and Culture staff groom approximately 20 kilometres of cross-country ski trails for classic and skate skiing. Equipment can be signed out through the Douglas Street Recreation Centre free of charge, on a first-come, first-served basis. Key entrances to the groomed trails are located in the parking lot in the lower park, on Wood Street, on the William Barnhill Drive Extension off Young Street (watch for the sign), and at Truro Junior High School (weekends only please). View pdf Victoria Park Ski Map (2.45 MB) . 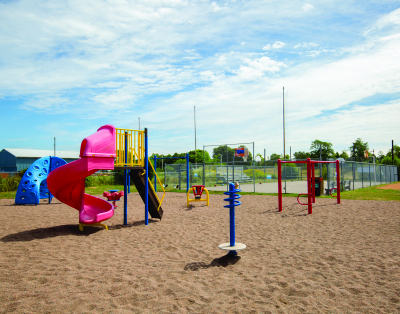 Named after a distinguished Second World War Veteran and long-time resident of the East End of Truro, the Herb Peppard Park is a beautiful addition to the area. The park features a small garden, a children’s playground and various benches along the exterior of the Park. 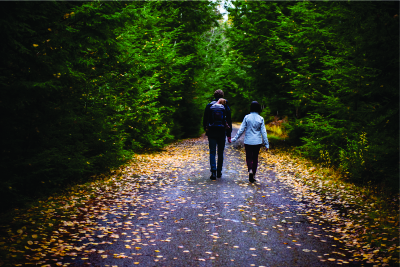 It is located on 36-38, Alice St.
Kiwanis Park is a small but picturesque park located in the west end of Truro ideal for walking and jogging, picnics, photography and watching the ducks. 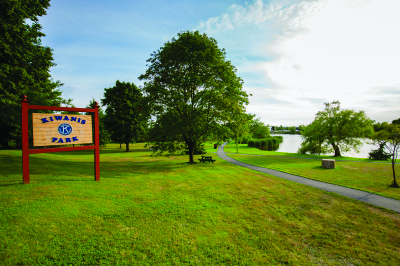 The Town of Truro Department of Parks, Recreation and Culture encourages people to walk around the Kiwanis Park Pond and to keep track of their progress. 1 lap around the pond is equal to 0.6 kilometres. Please note: You can take time to enjoy the ducks, but please do not feed them. The Stan ‘Chook’ Maxwell Park was envisioned by the community as a place which offers a temporary place of sanctuary, and which encourages recreation and the enjoyment of the outdoors. 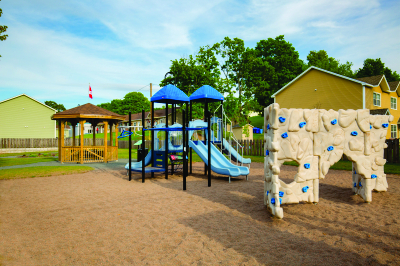 The park is an integral part of the neighbourhood, featuring a basketball court, playground and more. Stan ‘Chook’ Maxwell (1935 – 2001), a native of Truro, was a dedicated community member for many years. Maxwell was good at any sport he tried, but it was in hockey and baseball that he excelled. He was one of the first Black professional hockey players and he starred with the Quebec Aces in the Quebec Hockey League and the Toledo Blades in the International Hockey League. Maxwell was also an outstanding baseball player, starring with the Truro Bearcats of the Halifax and District League for five years. Stan ‘Chook’ Maxwell was inducted into the Nova Scotia Sport Hall of Fame in 1980. 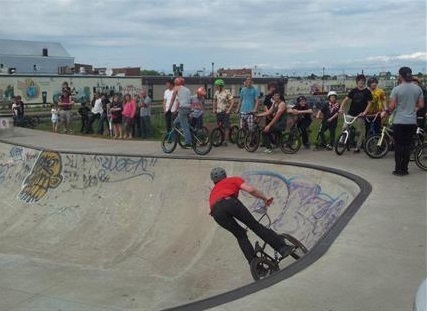 The Truro Tim Hortons Skate Park is a popular destination for skateboarders of all ages in the Truro area. The park is located on a property off Young Street, between Brunswick Street and the Esplanade, and is open daily from dawn until dusk. Helmets are required and other protective gear is encouraged. 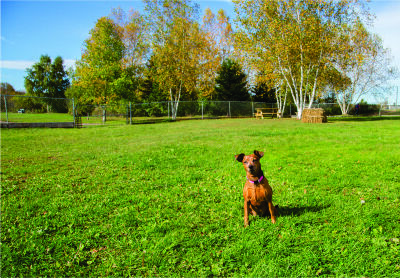 The Truro Parks, Recreation and Culture Department and the Village of Bible Hill offer dog owners the opportunity to permit their pets to freely run and play at the off-leash dog park on Marshland Drive near the Colchester Legion Stadium. Open seven days a week, the free, public facility includes 2.5 acres of fenced in property that includes two grassy play areas (one area for small dogs and one for large dogs), trees and water. For the safety of dogs, their owners and the public, users are asked to please adhere to rules which are posted at the park. Please Note: Children under 12 years of age are not permitted in the park at anytime, even with parental supervision.